About the Director - Welcome to Puzzle Pieces! I am founder and Executive Director of Puzzle Pieces, Inc.
My name is Amanda Kate Owen and I’m 30 years old. I taught for 5 years at Burns Middle School in Owensboro, Kentucky. I have been married for 10 years, and we have two sons, Landon, 7 & Layne 4. My love for my family is unexplainable. When I was five years old I had told my mother I wanted to be a Special Education Teacher. This didn’t surprise her, because she knew my love for my brother was so strong. I helped Nick with his homework, played house with him, and tried to teach him as we got older. Little did I know, my older brother Nick, would teach me life lessons, inspire me, and most importantly be the blessing in my life that keeps giving each day. Nick is 37 years old and has a Chromosome Disability, which we call 4XY Chromosome. When Nick was born this was considered a very rare disability. He was the eleventh person in the United States to ever have this disability. Not only did Nick surpass the doctors’ expectations, he has thrived to become a young man who has a funny sense of humor, keeps us always guessing, and provides my family with joy and happiness each day. Although, while growing up some days were hard, confusing, and sometimes maybe even a little embarrassing…Nick changed me, because of Nick I’m inspired to dream big and make a difference in not only his life but others just like him. The true heroes, in not only Nick’s life but mine as well, are our parents, Sharon and Leon Boarman. When their baby son was diagnosed with a rare disability they didn’t have the internet for research, high-tech supportive devices, support groups, community awareness, and many of the other resources that are known today. With limited resources, limited funding, and limited support they became strong and raised Nick the best they knew how. They never treated Nick as though he was different, and expected others to do the same. They never looked at what he couldn’t do, but at what he could do. Not only were they exceptional parents to him, they were the best parents to me. They taught me to never give up and were always my biggest fan in anything I did (not to mention Nick who was probably my BIGGEST fan). They modeled for me what good parents are, and I’m applying those skills today with my son. After all they have been through over the years with my brother they did the extraordinary, they stayed married. They had to sacrifice a lot in their life time when my brother entered their life, and they are still sacrificing as they are still providing for him while he lives at home. My mother to this day would say, "to others it might seem a sacrifice, but it was a way a life and I would do it all over again." My story of growing up with Nick, and the love I have developed for individuals with disabilities through teaching, has brought me to my next journey in life. I planned and opened an Activity Day Center for individuals with disabilities called Puzzle Pieces. Through this facility I give families what I wished my mom had when Nick graduated high school. I can give families the relief of knowing their child/adult is in good hands, like I wish my mom had. I can give families the supportive care they need for their child/adult, like I wish my mom had. I can give families a place where their child/adult can feel included and hang out friends, like I wish my mom had. I can give individuals with disabilities the self-confidence, self-worth, acceptance, love, care, and social interaction with friends, like I wish my brother had. I can give individuals with disabilities a facility they love coming to and feel like they have a purpose there, like I wish my brother had. 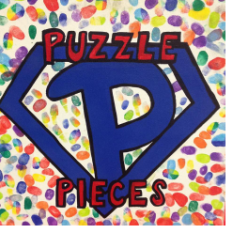 Puzzle Pieces is a unique facility unlike anything else out there, because I can honestly say I understand the needs not only for the individuals but the needs of the family. I have not just opened this facility for your family, but my family as well. If anything was to ever happen to my parents, Nick will come to live with me and my family. The foundation I lay now will only be something I’m planning for him to have for the future if that day comes sooner than later. I’m ready to start giving individuals with intellectual disabilities something they deserve; a fun, structured, atmosphere where they love to come be with friends and feel important. Something I wish my brother would have had years ago. In conclusion, I hope after reading this you can feel my passion through my words. The purpose of writing this section for the website was for you to understand and know that I have a love for this and I’m determined to make it perfect for everyone involved. I want to be an extension of your family, and be able to give you the relief of knowing your child/adult has something to look forward to after they graduate school. I look forward to hopefully meeting not only you, but your child/adult one day. I’m a very transparent person, who is here for the right reasons. Please feel free to contact me if you have questions about Puzzle Pieces. My dreams don’t just stop at Puzzle Pieces, maybe in the future there will be a café run by Puzzle Pieces’ clients, a gated community, and much more.